J Brewer and Associates, INC.
J Brewer & Associates - General Contractors (Residential and Commercial) in Chattanooga, TN. We offer full service remodeling that is transparent and collaborative, eliminating a lot of confusion and stress for our customers. In 1997, our company was founded on the same timeless values we live by today that empower customers to focus on what matters. With a Design Career spanning over 35 years, this full service interior design firm specializes in private residences and estates throughout Western North Carolina, Tennessee, North America, and Europe. A Professional Level member of "The American Society of Interior Designers". Designs in Altitude is widely recognized for it's "Award Winning" Interior Environments that celebrate the comfort and lifestyle of Mountain Living. 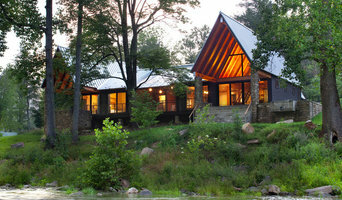 Licensed in GA, TN & NC Modern Rustic Homes has been designing and building custom homes since 1996. Our process starts with your vision — that vision is then translated into a design that captures the look, lifestyle, and language that represents YOU. We use many different textures and materials including reclaimed lumber, logs, timber frame and stone on the inside and outside to give your house the unique look and feel our clients call modern rustic living. Our process to design your new home includes your entertaining, relaxing, storage, vocation and avocation requirements. Your home can be in a neighborhood in Atlanta or in the North Georgia Mountains but still have that Modern Rustic look that fits well into your surroundings and compliments the lifestyle you have earned. Our Construction Management team will then build your home with care and craftsmanship, working with you to assure your satisfaction. Modern Rustic Homes provides a comprehensive set of products and services including Architectural Design, Construction Management, General Contracting, Finish Selection Management, Interior Design and complete Buyer and Seller Real Estate services all under one roof. While most of our general contracting or real estate projects are in the SE USA, we have designed and built homes all over the country and have designed homes built all over the world. We welcome the opportunity to assist you regardless of where your project may be. To see one of our latest projects under construction, please visit this link: <a rel="nofollow" target="_blank" href="http://www.modernrustichomes.com/whats-new/lake-bluff-lodge/">http://www.modernrustichomes.com/whats-new/lake-bluff-lodge/</a> or call us to set up a consultation. Studio Lyzon South is committed to creating stunning environments from conception to completion, adhering to schedule and budget with minimal stress to the client. In my 14 years of helping my clients realize their design dreams, I have found that time is a valuable commodity. I am committed to maximizing my time in order to provide you with the most aesthetic, efficient, functional design for your space. Based on your look and personal style, I will champion your goal to create and develop a unique environment while simultaneously removing the anxiety that goes along with new construction or a renovation. My efficiency and dedication to your project ultimately saves you time and money so that you can spend your new found time and savings enjoying your life. I love what I do, and I am passionate about the design process. I excel at providing exceptional service no matter size or budget of a project. One room, an entire home or office building development, YOUR project is very important to me. I would love the opportunity to meet with you and discuss the creation of the ideal space for you. Lets make your project a sanctuary or a true design experience that you can't wait to return to everyday! We are a TN General Contractors serving the Chattanooga,Tn surrounding areas. 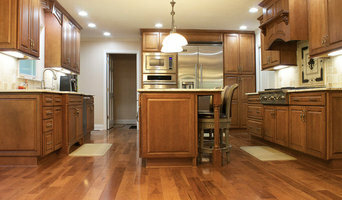 We specialize in Interior Design and Remodeling, with an emphasis on Kitchens & Bathrooms. Check us out on Facebook. Accredited member of the BBB, A+ rating. My name is P A T R I C K S. P A R K E R, and I am from Chattanooga, TN. I grew up in Dickson, TN, a small town about an hour outside of Nashville. My memories from being raised in a small town are vibrant and full of fond cherish able moments. This is where I draw my inspiration. The sounds… The colors… The scents… The movement… The textures… all link me back to the place I first called home. The power of the mind to take us places based on the association of a nuance of our surroundings makes me excited to influence the world around me through the spaces that I design. Design is a powerful tool one that gives me the opportunity and privilege to create spaces that fulfill a client’s wants and needs and gives them a space they can truly call their own. It is important every detail of the space be intentional and influenced by the client. Within the mix of the design process, my intention is to give the client a space that sparks fond memories, comforts them, and envelopes them in a functional and useful space they can utilize for years to come. Complete Remodeling Services has over 25 years of experience in providing a variety of exterior renovation services. We provide services to the greater Chattanooga areas of Bradley and Hamilton Counties. We specialize in decks, sun rooms, screen rooms, room additions, pergolas, a variety of siding replacement options, replacement windows etc. Customer satisfaction is what determines our success, which is why we take a hands-on approach and keep the customer informed through every phase of the project. When interacting with our company, you'll notice that we're particularly focused on the principles of quality workmanship, timely completion, competitive pricing, and integrity in all our business dealings. We combine knowledge and research with our extensive practical experience to ensure a specialized approach for your renovation needs. Give us a call today! Full service residential and small commercial architecture firm, we specialize in new custom homes, remodels, kitchen/bath design, green design (LEED AP), and accessible design. Workshop: Architecture is a small design focused practice in Chattanooga, Tennessee focused on crafting unique projects for both residential and commercial clients.